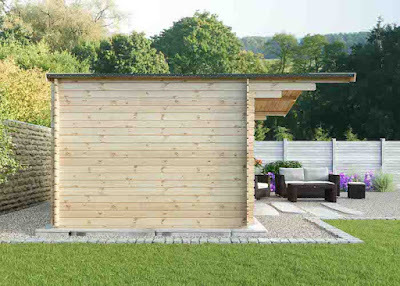 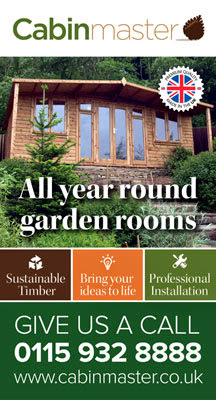 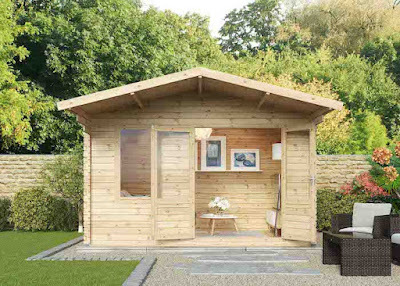 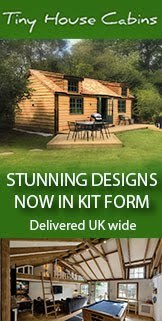 A quick look at this 4m x 3m log cabin garden office from Waltons is a striking addition to any garden. 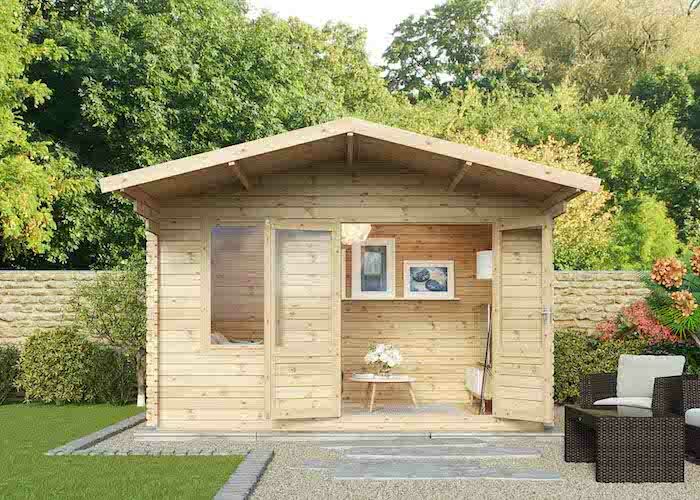 It has a substantial overhang, is made with 28mm thick timber logs (34mm and 44mm options are also available), and finished with interlocking tongue and groove timber. 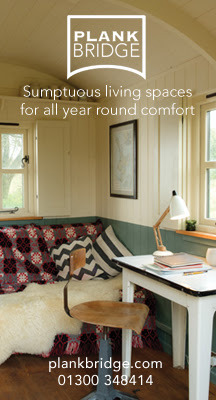 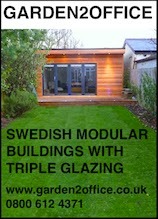 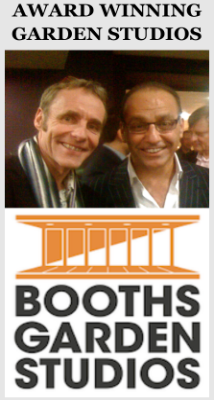 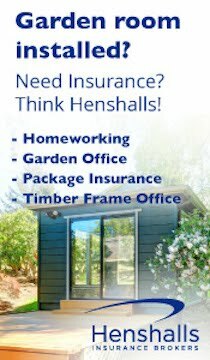 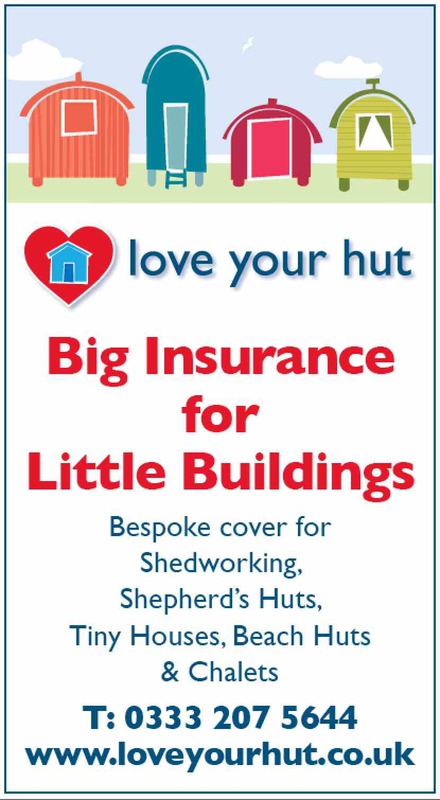 Shedworkers can choose between single or double glazed windows and there is also a set of double doors. 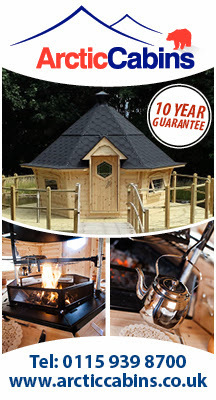 It all comes with a 10 year guarantee against rot.